Bathroom designs need not be very complicated. 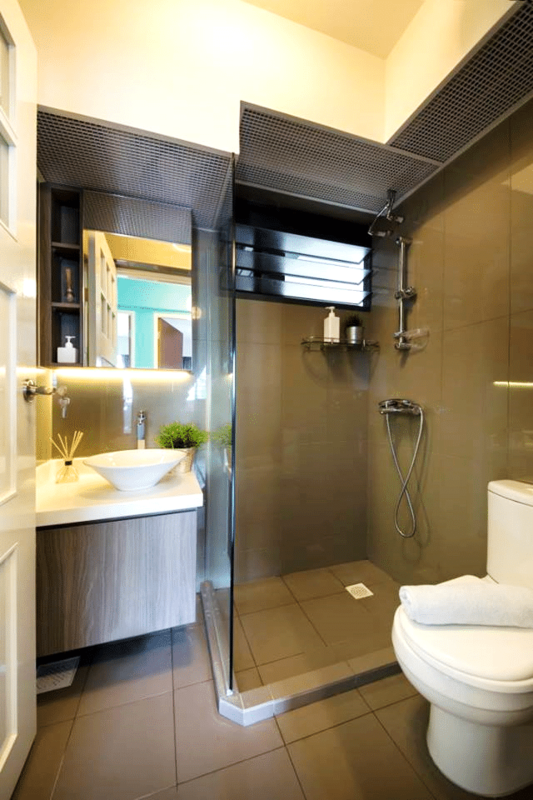 Still, there is definite need to address the functionality and space usage among other things to make an organized and stylish bathroom. 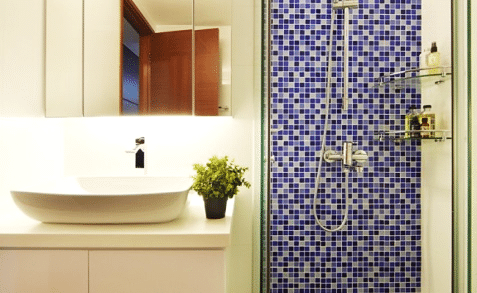 These special homes below pay a lot of emphasis on their bathroom structure and amenities, thereby making it very convenient and pleasant for the residents to start the day with an energized spirit. This magical bathroom is all about evocative textures and stylish carvings. Look at that fabulous bathtub which tells the story of this refreshing bathing section. The utilities are also fitted with extreme care with a hint of minimalism in their design. The tinted glass panels, too, find a way to display all those fabulous artworks making this bathroom among one of the best. This is a wonderful bathing area with intelligent handle on space. 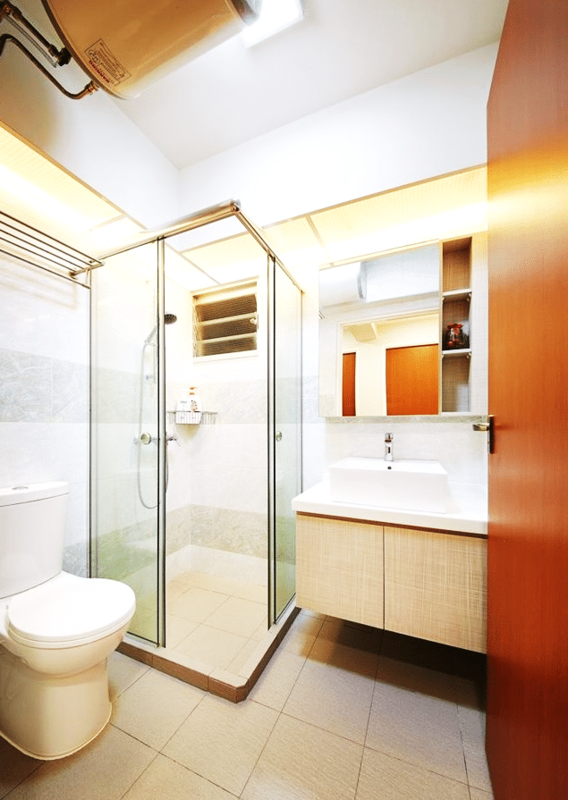 Bathrooms must focus on creating different sections so that it can be accessed by more than one person at a time and this one passes the test. The homey and comforting vibe of this bathroom can be attested to generous neutral hues and the vibrant presence of green. 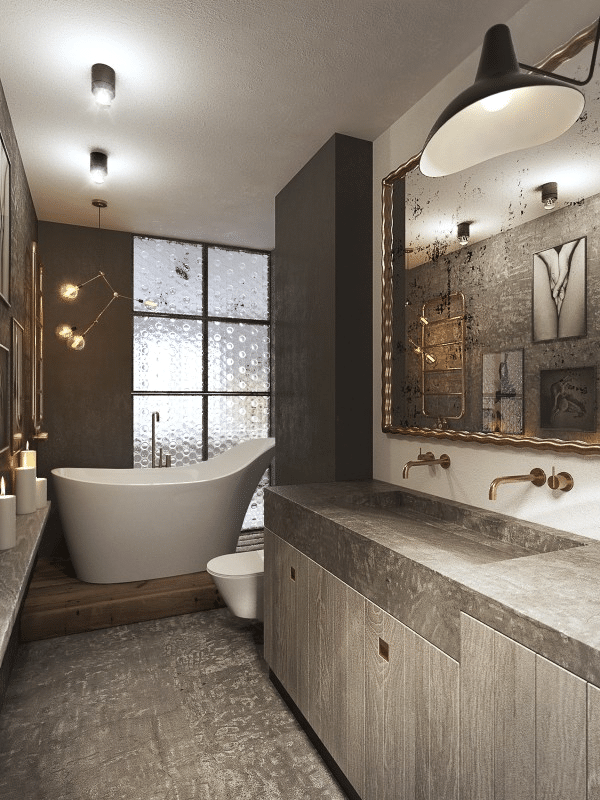 Blessed with an industrial vibe, this bathroom from ZL Construction has an adorable charm to it. Flourishing floral patterns are draped on the walls creating a mood of liveliness and lethargy-ridding energy to make your mornings all the more cheery and refreshing. 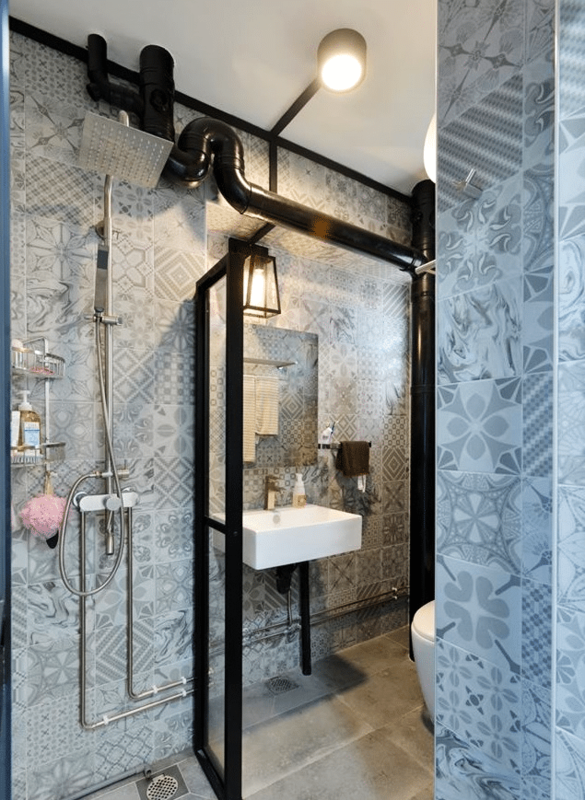 Wrapped in a grey delight, this bathroom is one such that showcases its industrial elements by exposing them, like that duct-pipe, and it really extends the vibe of the home interior to the bathing space bringing a sense of unity. Open design scheme coupled with simple stylistic choices make this bathroom a very elegant offering. White shades overwhelm but a presence of blue and green brings warmth and serenity to this section. The utilities on offer are some of the finest and you will be quite impressed by the sunny feeling of the bathroom. The minimal design of the interior is rightly extended to this bathing area that is all about space and comfort. On the utility count, it is featured with numerous qualities – separated cabins are a welcome sight too. Ample shades of neutral color also produce a pleasant vibe, bringing you here for getting refreshed as you begin or end a day and get rid of all the tiredness.